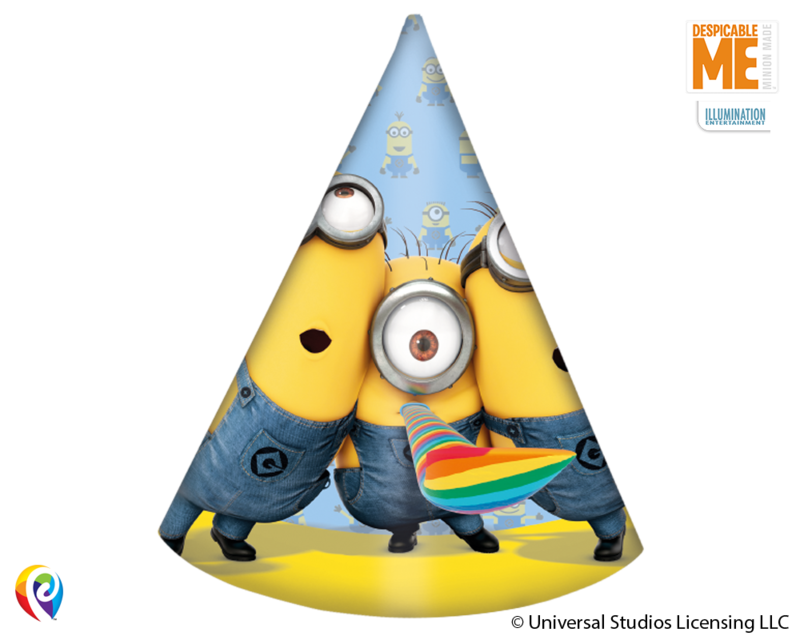 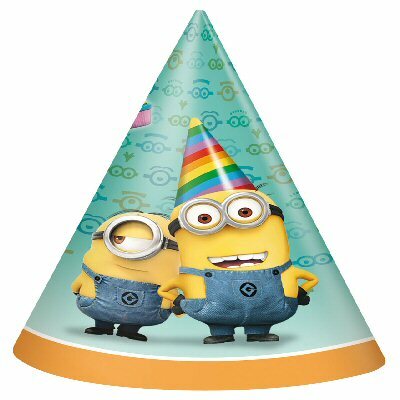 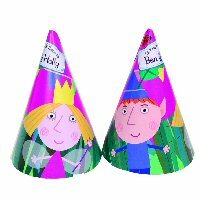 Our Minions Paper Hats are featuring the funny eye of our favourite character and they are sure to make everybody smile! 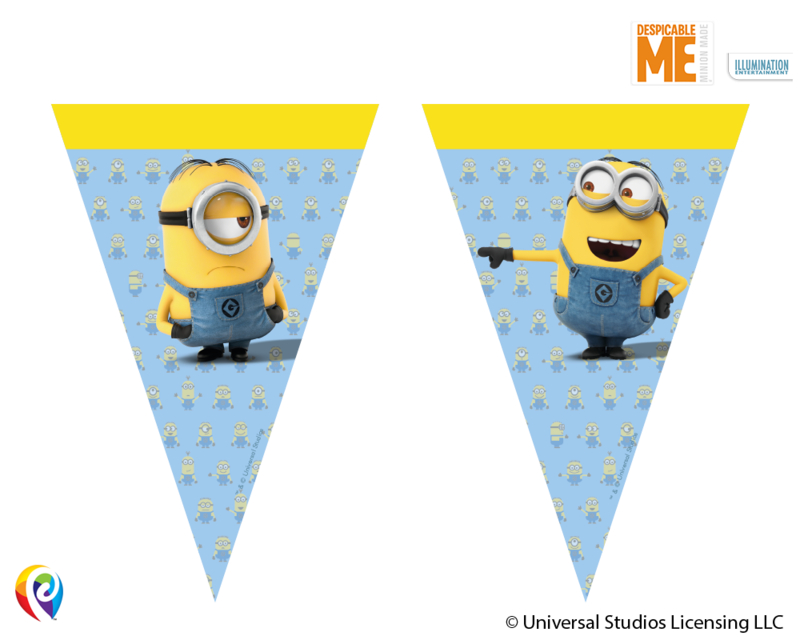 Everybody loves the Minions and Despicable Me! 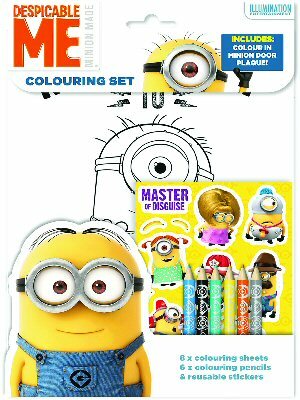 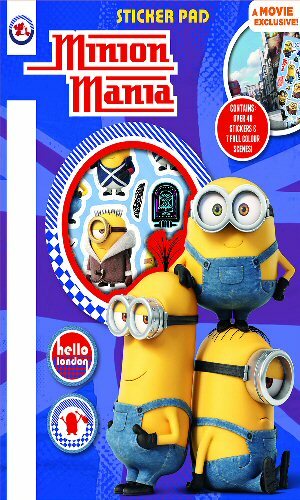 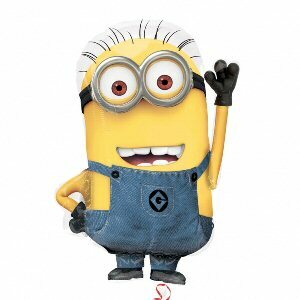 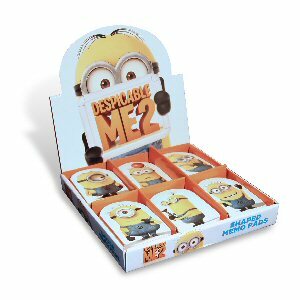 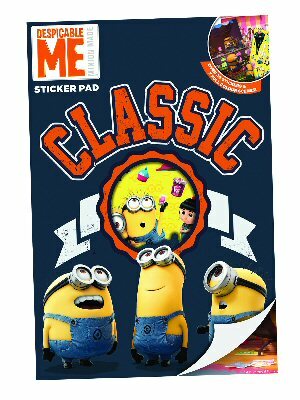 Our Minions Party Boxes feature our favourite characters on a white background with a bright yellow border. 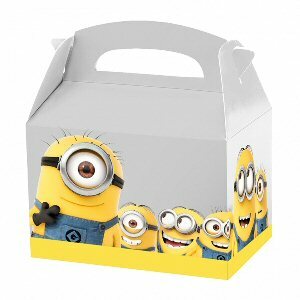 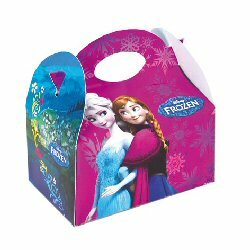 The party boxes are an ideal complement to any Minions party or your customer's special occasions. 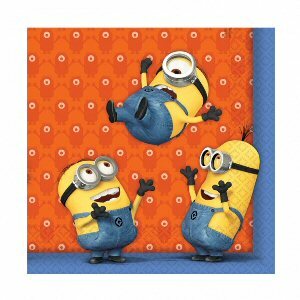 Our Minions Party Game is the perfect addition to any Minions party or your customer's special occasions! 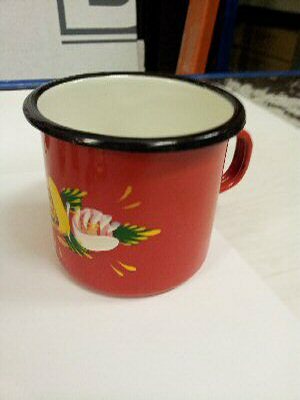 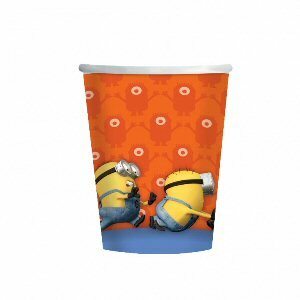 Our Minions Paper Cups are featuring our favourite characters on an orange and bright background. 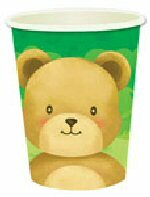 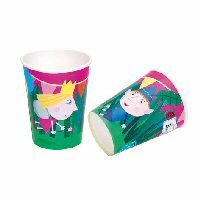 Our Minions Paper Cups feature our favourite characters on a white background with a fun yellow Minions patterned border. 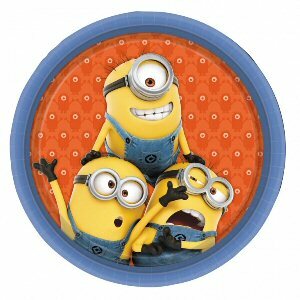 Our Minions Luncheon Napkins are featuring our favourite characters on an orange and bright background. 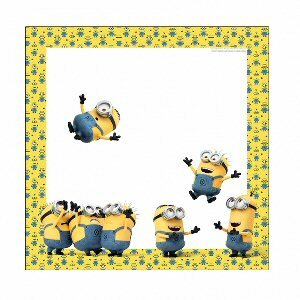 Our Minions Luncheon Napkins feature our favourite characters on a white background with a fun yellow Minions patterned border. 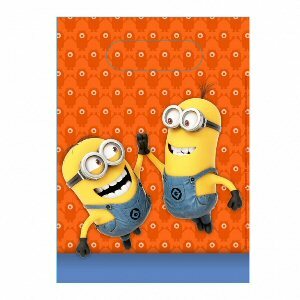 Our Minions Invites & Envelopes are featuring our favourite characters on an orange and bright background. 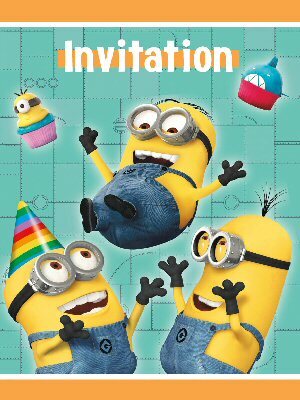 There is an inside space for your message and "Party" is featured on the front of the invite. 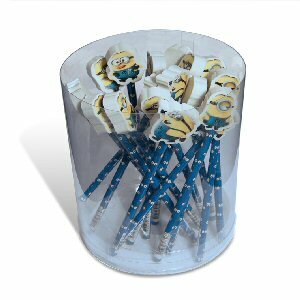 They are the ideal complement to any Minions party or your customer's special occasion. 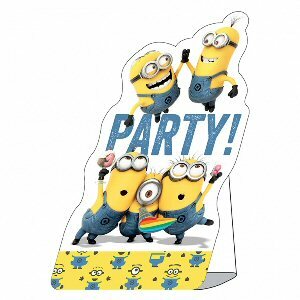 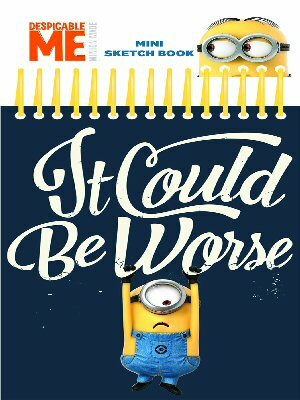 Our Minions stand up invitations & envelopes feature our favourite characters with a fun yellow patterned Minions border. 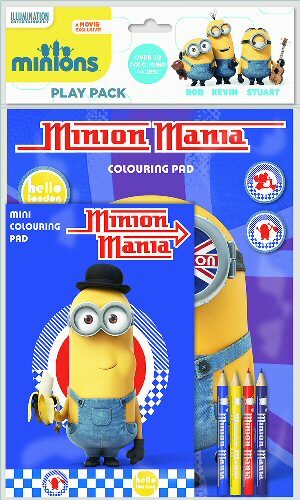 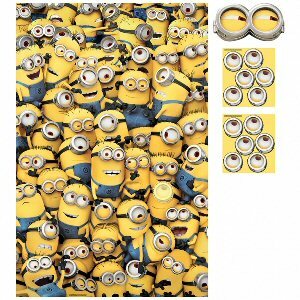 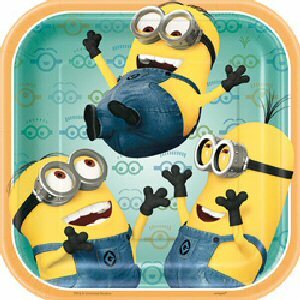 Our Minions tablecover features our favourite characters on a white background with a fun yellow Minions patterned boarder. 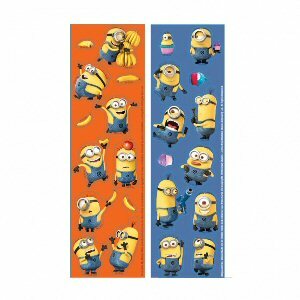 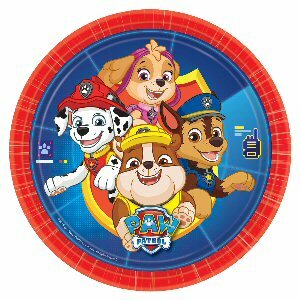 Our Minions Plastic Tablecover is featuring our favourite characters on an orange and bright background. 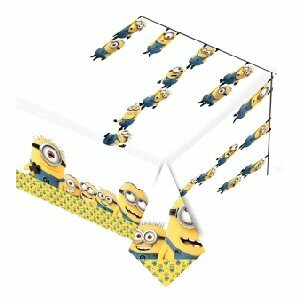 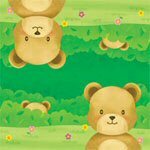 The tablecover is the ideal complement to any Minions party or your customer's special occasion. 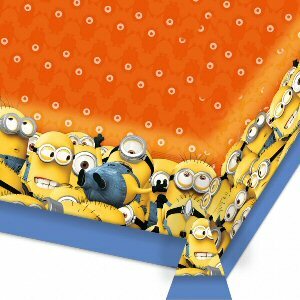 Our Minions Plastic Party Bags are featuring our favourite characters on an orange and bright background. 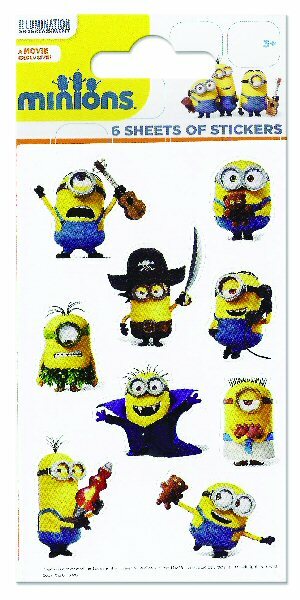 Our Minions Drinking Straws are featuring our favourite characters in 4 different and funny versions. 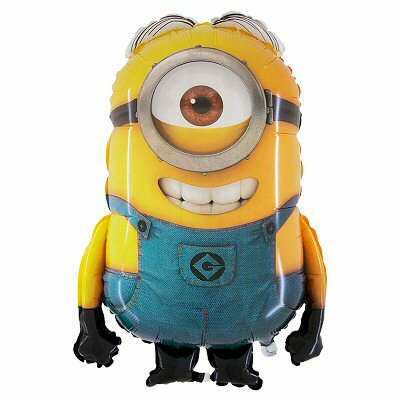 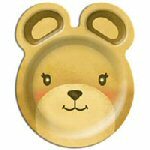 Inflate-a-Fun are balloons you inflate yourself!! 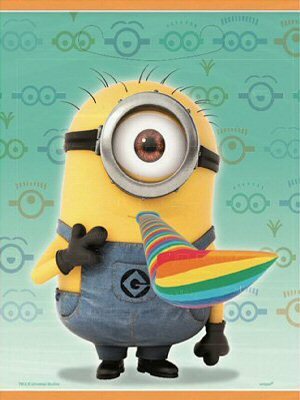 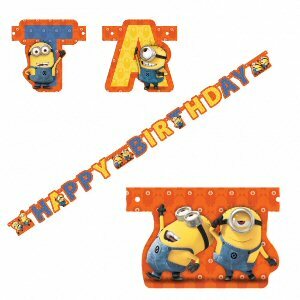 Our Minions Letter Banner is featuring our favourite characters on a letter banner, saying Happy Birthday. 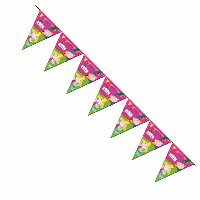 The banner is colourful and bright and it will bring fun to any birthday party. 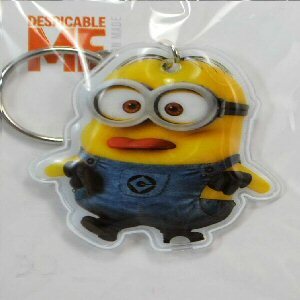 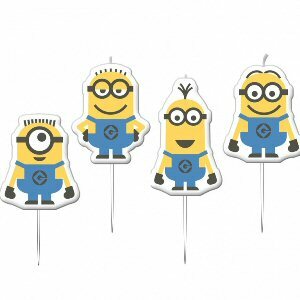 The hanging decoration is the ideal complement to any Minions party or your customer's special occasion. 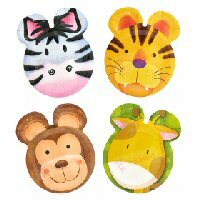 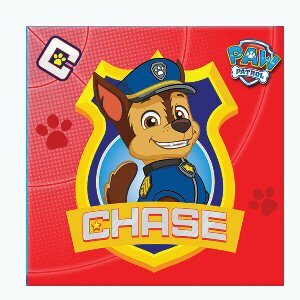 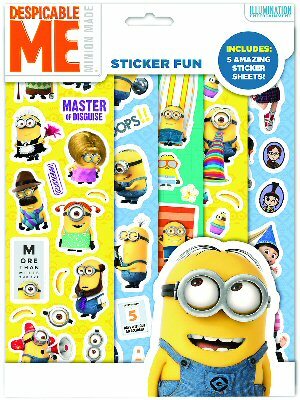 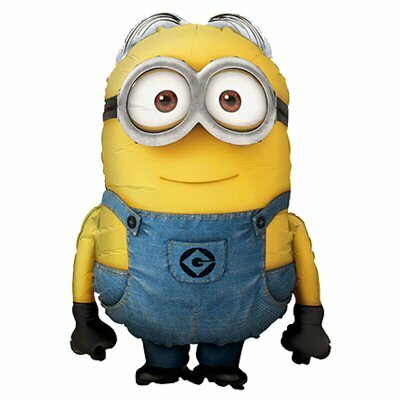 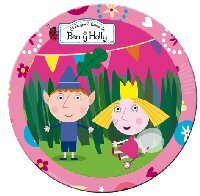 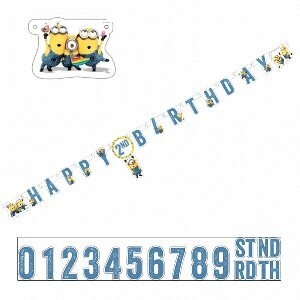 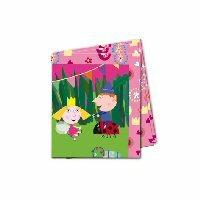 Our Minions Add-an-Age Letter Banner features our favourite characters on a letter banner which you can add the age to with the stickers provided. 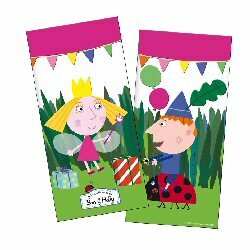 The banners says Happy Birthday, it's fun design adds a great touch to any birthday party. 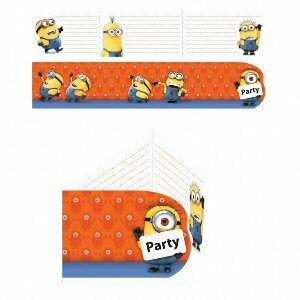 The decoration is the ideal complement to any Minions party or your customer's special occasion. 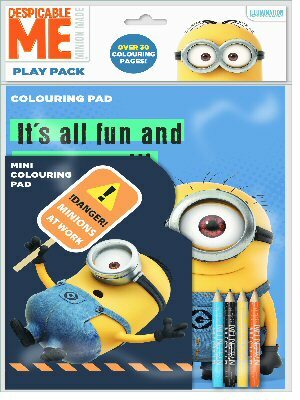 Our Minions Face Masks are featuring our favourite characters in 2 different versions and they are sure to bring fun to any party! 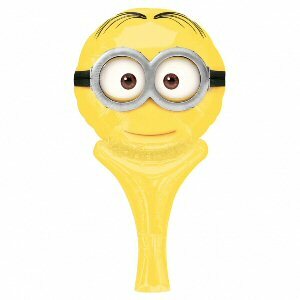 Face masks are the ideal complement to any Minions party or your customer's special occasion. 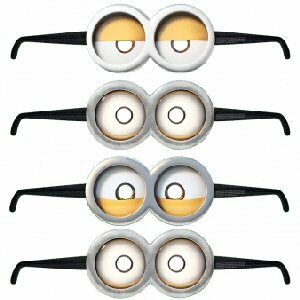 Our Minions Card Glasses feature four different Minions designs that people can wear to look like a Minion! 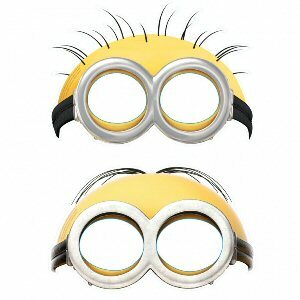 The Card Glasses make an ideal complement to any Minions party or your customer's special occasions. 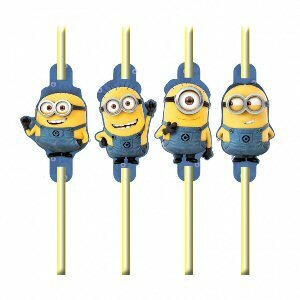 Our Minions Mini Figure Candles are featuring our favourite characters in 4 different and funny versions. 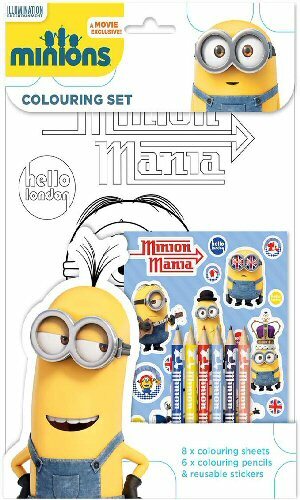 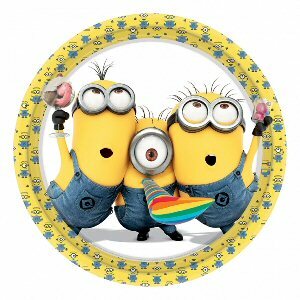 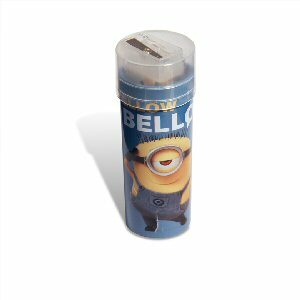 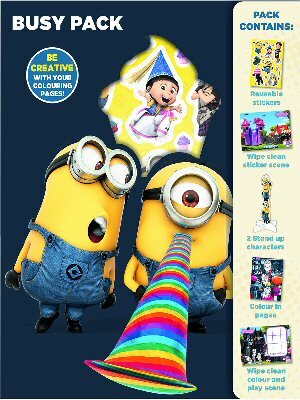 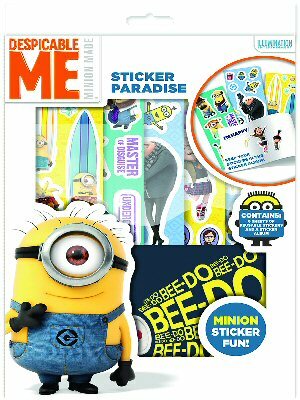 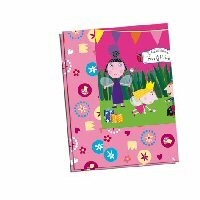 Our Minions Confetti Pack is featuring our favourite characters in 3 different and colourful versions.